Until this year, 2016, I don’t think I had many reasons to pause and reflect on the question so many ask themselves, “Was this a good year? Or a bad year?” I am not ashamed or unwilling to admit that I’ve had 37 good years. I am a very blessed woman and because of circumstances I was born into, favor God has shown me, choices I’ve made, and paths that have opened up to me based on all those things, I am willing to say that there hasn’t been an end-of-December reflection that has turned up anything other than “Thank you Lord for a wonderful year!” attitude. But this was my 38th year. And there were circumstances in the works for me and my family that were not only beyond my control, but also out of my imagination that the realm of possibility for me could include them. Finding out that stage 4 cancer was living inside my Dad, and then just 8 weeks later, losing the strongest man, the funniest and smartest man, and the most relentlessly encouraging man just wasn’t on my radar when the calendar turned over to January 1, 2016. And yet, here I am, at the end of the calendar, looking back and wondering to myself, “Was this a good year? Or a bad year?” It’s a fair question for me now. Now that I’ve suffered. Now that I’ve been tested. Now that I’ve finally lost. I have a very interesting job that came across my path, totally unplanned, 2 years ago. I am responsible for the marketing and fundraising at Community Leadership Academy, the school that my children have been a part of since 2010. I work for a group of people who are certainly the most challenging group of people I’ve ever been around, and they love to work hard, serve others, and lay awake at night imagining new ways to do those things. My boss is Peter Boulware. He had a very successful college football career at FSU followed by a 9 year professional football career with the Baltimore Ravens. He and his wife believe that God has called them to lead in our community by being examples of true godly leaders. They started the school I mentioned in 2009. I am extremely blessed to now be on their admin team at the school. And being a part of his team means that I get to do some pretty unique things, one of which was to meet and spend an evening last March with Coach Bobby Bowden. Not only was this the highlight of 2016 for me, it truly impacted my entire life and I will never forget the stories of that night. I didn’t just hear him speak to a crowd of 400 that night, Stephen and I were Coach Bowden’s personal assistants, so to speak, and we were very closely engaged with him for several hours. I’ve never been around a celebrity in that way, so this was a real treat for me (despite being a Gator fan!) and definitely a perk of my job that I didn’t anticipate when I took it. 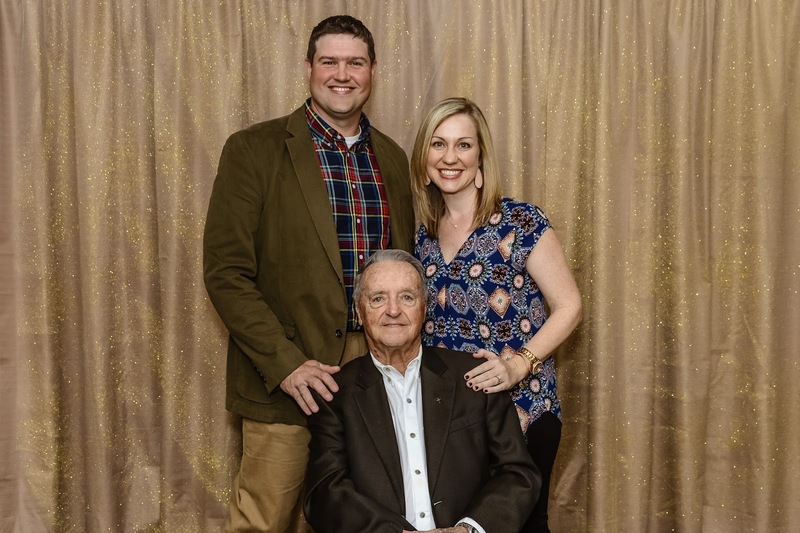 So many take-away’s from the night with Coach Bowden, there are too many to recount. But I will share one line he said to Stephen during the car ride home from our event. “Son, I’ll tell you what. The best jobs I ever had were the ones I didn’t apply for.” Of course, he’s speaking mainly of his coaching career at FSU, but there were others he was remembering as well. I’ve thought about that line many times, and what it means for me. It’s been 4 months now since Dad and I said our final goodbye. I certainly didn’t ask to go through this experience. I most certainly didn’t seek out or desire to go through grief the way I have. I didn’t invite this. I didn’t pray for this. I didn’t apply for this. And yet, and I write this with tears, I can say that the last 4 months have been good. They have been filled with intense outpouring of love for my family. I have spent more time with my immediate and extended family that ever before (and we were a close family before this!). I have learned lessons that I would have never before considered. I have become empathetic toward people I wasn’t able to truly connect with before. Most importantly, I have grown and changed. And as much as we fight it sometimes, change is inevitable. Growth is optional. It’s been a hard choice to grow because of this, but I know it is how Dad would have wanted me to respond. Coach Bowden was right…take what life gives you and go with it. It may be hard, it may not be fun at times, but it also may end up being the very thing that you look back on and feel appreciation and even fondness for because of what it did for you. I miss Dad every day, I want him here with us every day, and I still cry. Sadness and happiness can happen at once, I’m learning, and so I am proud to say that 2016 has been a good year.